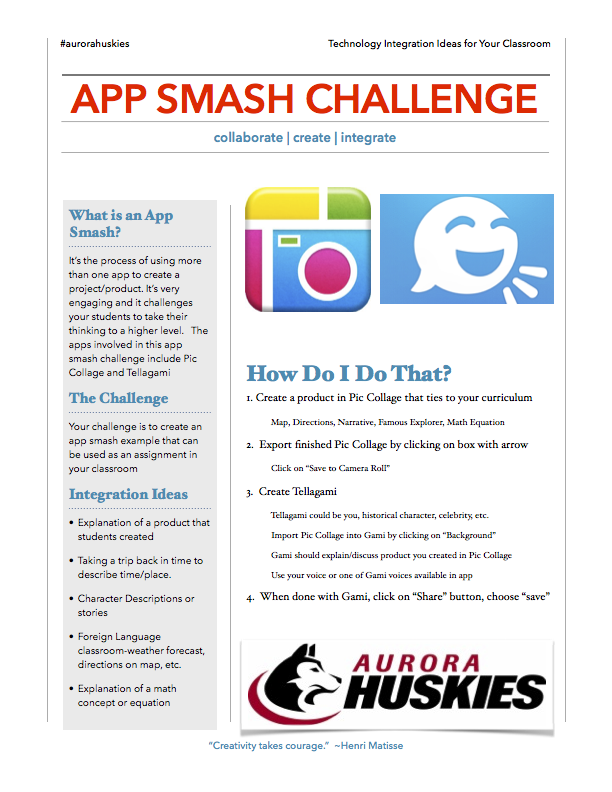 Craig Badura, a PK-12 Integration Specialist in Aurora, Nebraska, has developed a series of App Task Challenges. Each challenge is a an easy to follow guide that gives teachers the opportunity to create products with an app. You can read more about App Task Challenges on Craig’s Comfortably 2.0 blog. Below are four of Craig's App Task Challenge guides. Craig is working on more of them, so follow him on Twitter to find out when he publishes new ones. Darin Swenson was inspired by Craig’s idea and made an App Task Challenge for the new Stick Around iPad app. You can click above to download Darin's guide. Thanks Craig and Darin for sharing your guides!